​Noah's Ark is a children's program that focuses on improving sensory integration. The program utilizes a variety of exercises, mimicking animal movements, to improve motor skills in children. Well-developed motor skills are crucial to a child’s development and will help to improve physical movement, emotional and social skills, as well as cognitive learning. Our intelligent, caring instructor teaches children exercises that involve tumbling, balance, agility and other physical movements. 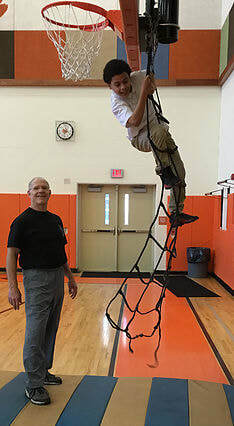 We also integrate the use of various equipment such as stilts, slack lines, pogo sticks, stability balls, rope ladders, and jump ropes as part of movement skills development. These exercises are tailored to each child individually based on their abilities to better assist them in improving their areas of need. We are continuing to expand this program and improve the lives of the children! ATP & Me Mentoring Program - Currently enrolling mentors! This program is a one-on-one mentoring program. Each mentor is paired with a youth who has been labeled as being an ‘extreme-risk-youth’. This youth is receiving a free/reduced breakfast, lunch and dinner from the school in addition to getting homework and academic assistance. 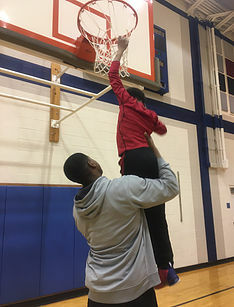 The youth that are within the mentoring program need some extra support and attention (that’s where YOU come in)! The ATP and Me Mentoring program requires that mentors meet with mentees individually twice a month (40-60 minutes per meeting), and a attend the group mentoring session the last Monday of every month from 3:00pm-3:45pm. All of these meetings will take place Sharon PA at the childs' school. During each meeting pairs work through materials provided by ATP staff. These materials will help to guide your sessions and conversations to assist you in being a successful positive role model. 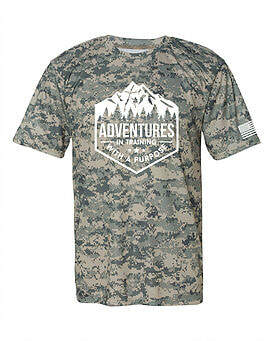 To get this ball rolling we need to be sure that you have your clearances turned in to contact@adventurestraining.org. Once we have copies of those two documents from you- we can give you the name of your mentee and set up a pairing meeting between you, your mentee, and us! Kids In Motion! - Currently enrolling children! This program consists of a one hour session two nights a week for the duration of the school year. 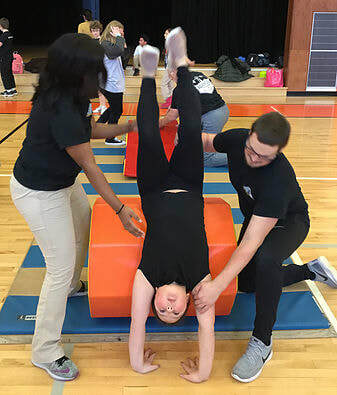 This gross motor focused program fills a void of service for children in the area in regards to their levels of physical activity and their sensory integration needs. 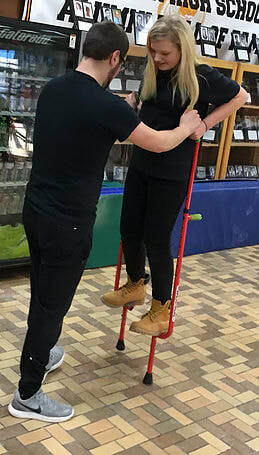 The program will provide clients with the opportunity to engage in unique activities including: pogo sticks, stilts, unicycles, boxing, stability ball activities, slack lines, balance beams, resistance bands, tumbling, and other sensory motor activities. Through this program clients will be working towards individualized goals of improvement in their cognitive, behavioral and physical well being. ​Many of our patients require full time assistance with one or more of our staff. Recognizing the need presented, ATP began our one-on-one training programs. We work with people of all ages with various conditions. Our staff uses periodic evaluations to monitor and collect data on our patients improvements. Currently, there are approximately 42,000 charitable organizations in the United States dedicated to serving the American veteran. 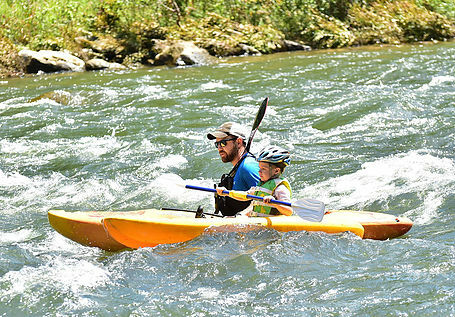 Many of these organizations support veterans by offering short-term financial assistance in order to improve or maintain their quality of life. Unfortunately, in most cases, improving quality of life does not advance their ability to experience a healthy functional life. ATP is dedicated to improving these men and women's lifes through purposeful physical training, to empower veterans with the freedom to move and perfom tasks of daily living without the need of assistance. Adults & children suffering with chronic pain and disease are largely underserved due to the lack of insurance coverage for long term care. In addition, very few facilities are equipped with trained staff and available time to devote to the program design and implementation required for “at risk” individuals. 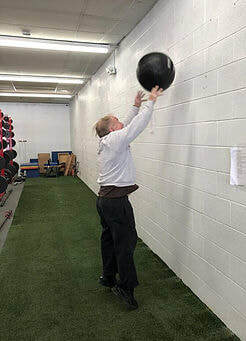 ATP’s program seeks to restore quality of life and reduce painful movement for this population. We have been fortunate to partner with facilities throughout northwestern Pennsylvania, where our clients can come for training. Since the start of ATP we have served clients with ALS, paralysis, MS, MD, Spina Bifida, double amputees. We also have programs for orthopedic disorders and diseases, neuromuscular disorders, cognitive, psychological, and sensory disorders, and cardiovascular and pulmonary disease. 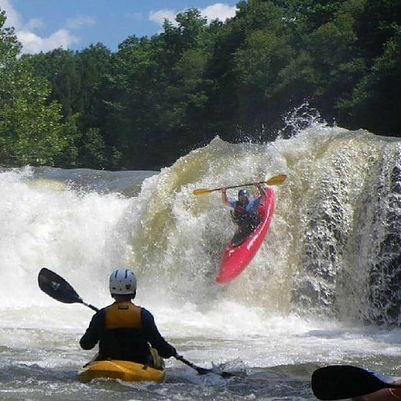 Some training will culminate into a group activity, which may include kayaking, rock climbing, hiking, bicycle trail riding, or another similar activity that puts movements together in order to "train for a purpose."